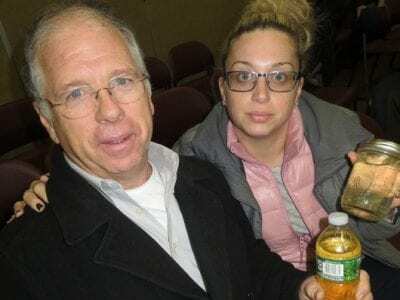 Tom Fitzpatrtick and Diane McBride display bottles of discolored water taken from their taps to members of the Carmel Town Board. 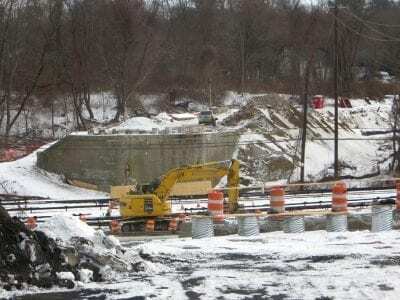 Photos By Eric GrossThe initial step toward solving Carmel’s water crisis was made late Wednesday evening when the Carme… Please login below or purchase a subscription to the Putnam County Courier to access this content. People of all backgrounds pray during the brief service. Photo by Eric GrossAmericans celebrated Martin Luther King Jr. Day on Monday and in remembrance of the civil rights leader, Putnam County residents gathered for a prayer walk for communities of… Please login below or purchase a subscription to the Putnam County Courier to access this content. Trustee Tara DeTurris makes a point during the meeting while Trustee John Curzio listens. 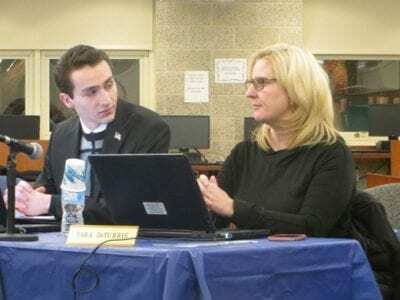 Photos By Eric GrossThe Carmel Board of Education is expected to propose a new referendum later this month to remedy a number of critical infrastructure improve… Please login below or purchase a subscription to the Putnam County Courier to access this content. Four judges gathered on New Year’s Day for the swearing in of Timothy Curtiss as Kent town justice. 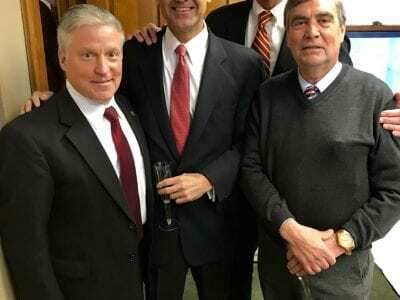 Shown are Judge James F. Reitz, Putnam County Court/Multi-Bench; Judge Joseph J. Spofford, Jr. Carmel Town Justice; Curtiss, Kent Town Justice; and Ju… Please login below or purchase a subscription to the Putnam County Courier to access this content. Thru Feb-Jean Tock photos of China on display at Mahopac lib. More info: 845-628-2009, ext 108, MahopacLibrary.org Jan 15 & 16 Early Literacy Program registration at Mahopac lib. More info/reg: mahopaclibrary.org, 845-628- 2009, ext 100 Beg. Jan … Please login below or purchase a subscription to the Putnam County Courier to access this content. 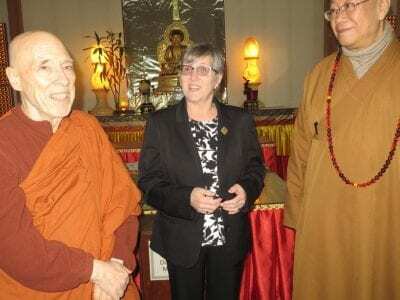 Supervisor Maureen Fleming chats with Abbott Venerable Hui Chong (right) and the President of the Buddhist Association of the United States, Bhikkhu Bodhi, inside the Great Buddha Hall at the Chuang Yen Monastery in western Kent. Photo By Eric GrossM… Please login below or purchase a subscription to the Putnam County Courier to access this content.